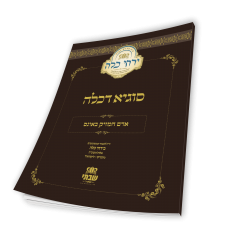 Focuses on the various halachos of eating and drinking before Tefillah, and discusses the perfo..
Two independent sugyos related to Tekias Shofar 1- Shevarim- Teruah .. 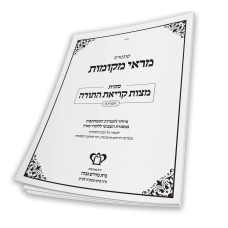 This deluxe Jeremias Family Edition explores the issues of Ribbis when borrowing from a Cr..
סעודת שבת - חיוב לחם משנהFocuses on the obligation of Lechem Mishnah on Shabbos and Yom .. 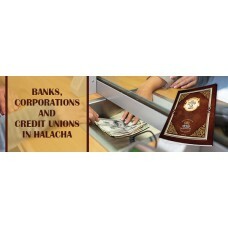 This sugya focuses on the topic of Chamar Medina -the use of beverages other than wine fo..
Shiur from Rabbi Shmuel Gersten -discussing the background of the Halachic issues regarding Credit U.. 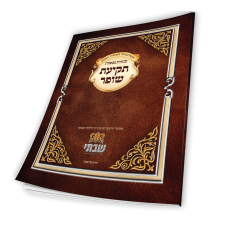 Accidental DamagesExplores the Talmudic principle in Baba Kamma 26 “A person is always conside.. 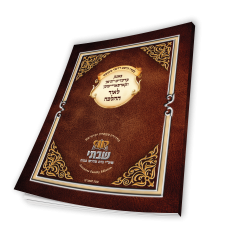 Focuses on the essence of the prohibition of eating and drinking before Kiddush. Also discusses why ..
Continues to focus on the prohibition of eating before tefilla, specifically focusing on&.. 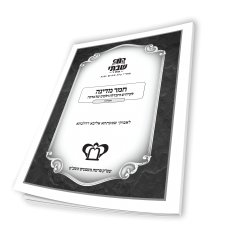 This choveres serves as a sequel to the previous choveres in which we learned about performing .. Focuses on the prohibition of "Involvement in mundane activities prior to Daven..